Punch Drunk DVDs: 'Pirates of the Caribbean: Dead Men Tell No Tales', 'The Book of Henry', 'A Ghost Story', And More! 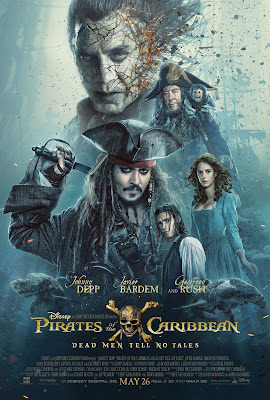 Johnny Depp’s Captain Jack Sparrow returns for another high seas adventure. In Dead Men Tell No Tales, the latest installment in Disney’s blockbuster franchise, ghosts from Jack’s past, including the villainous Captain Salazar (Javier Bardem), return seeking vengeance. Unfortunately for Jack, the only thing that can save him lies at the bottom of the ocean: the ancient Trident of Poseidon. Original trilogy stars Orlando Bloom and Keira Knightlyey return as their fan favorite characters to help Jack on his quest for survival in this action-packed summer blockbuster. Perhaps the most divisive and curious film of the year, The Book of Henry is director Colin Trevorrow’s (Jurassic World) polarizing take on family drama. When single mother Susan’s (Naomi Watts) child-genius son Henry (IT ‘s Jaeden Lieberher) discovers a dark secret about the man who lives next door (Dean Norris), he develops a complex and dangerous plan to save the neighbor’s daughter from her abusive household. 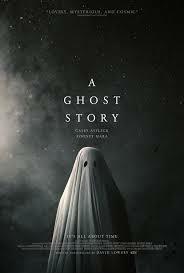 A beautiful and heartbreaking genre experiment, A Ghost Story explores the concept of the deep and eternal connection of love. Rooney Mara and Casey Affleck star in this unusual art house film as a young couple who, although separated by a tragic loss, are ultimately still together in spirit.